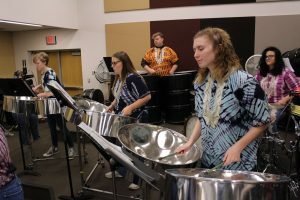 The John Marshall High School Steel Drum Band, the Strings Chamber Orchestra and WJMH Media teamed up to present a performance for the West Virginia Board of Education. 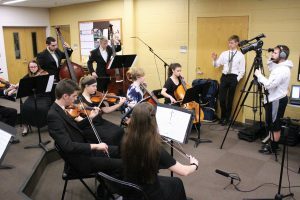 WV BOE member Dr. James Wilson of Glen Dale invited the students to be a part of the board’s regular meeting, via Skype, to showcase the skills they have learned at John Marshall. Following the performance, students participated in a question and answer with board members. 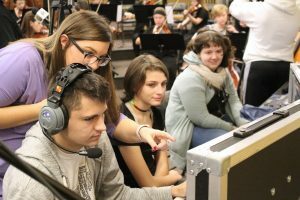 The students and teachers are grateful the unique experience.